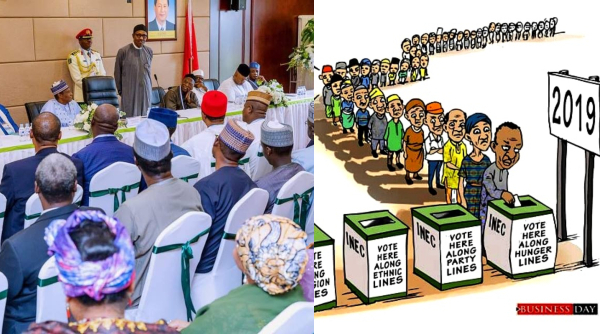 President Buhari who spoke at an interactive session with members of the Nigerian community in China today, Sunday September 2nd, said that as a beneficiary of free and fair elections, he is not afraid of a credible process in 2019. The Nigerian President who told the Nigerian community that his government has succeeded in curtailing Boko Haram insurgents in the country and that the terrorist group no longer controls any part of the country, claimed that with the recent elections in Bauchi, Katsina and Kogi States, the the country had made progress relative to elections conducted in the past years. 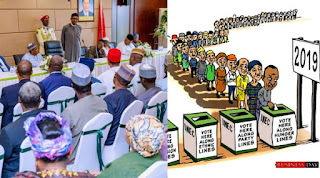 President Buhari who pledged that Nigerians eligible to vote in the next general elections will be allowed to freely elect candidates of their choice, also told Nigerians in the Diaspora that while security agencies are doing their best to curtail the clashes, the Nigerian media need to complement the efforts through objective and informed reportage. ‘‘I have no fear about free and fair elections because that is what brought me to the present position. I know what I went through and very few Nigerians could boast of trying four times. Those interested in participating in the elections must get their PVCs and register in their constituencies and elect anybody of their choice across ethnicity and religion. The Nigerian police, law enforcement agencies and INEC must respect the wishes of the people,’’ he said. ‘You will all recall that we contested the last election basically on three issues, which includes security, especially in the North East. The Boko Haram used to occupy quite a number of local governments in Borno State but they are not in any one now. They have resorted to a very dangerous way of terrorism by indoctrinating young people, mostly girls and attacking soft targets, churches, mosques and marketplaces,’’ he said. Nigerians who are planning to travel abroad for ‘‘greener pastures’’, were advised to do so legitimately and not to expect too much from their countries of destination. ‘You cannot seek greener pastures in a place where you are not respected because of the colour of your skin or your lack of education or other things. Personally, I think you will earn more respect when you remain at home and get a job,’’ President Buhari said.